Barry Ault, aged 71 years, passed away peacefully on Christmas morning after a very short but devastating illness. His wife of 47 years, Sally and daughter Jessica were at his side. Barry was born at the Naval Air Station hospital in Norman, Oklahoma to Bruce and Lillian Ault. Barry grew up in Los Angeles and Arcadia where he graduated from Arcadia High School and Pasadena City College. He then moved to San Diego to attend San Diego State where he earned his Bachelors degree in Physics. While at SDSU, he met Sally Benton. They discovered a mutual interest in sailing and married right after graduation. He served as a Lieutenant in the U.S. Navy. Barry was a brilliant computer scientist and worked in Civil Service for the Government until his first retirement. He then worked for FGM until his second retirement. Barry was a waterman. He developed a love for surfing and sailing at a very early age and took up windsurfing in the early 80’s. Barry was happiest in or on the water. He was a skilled and respected surfer. He won the US Surfing Championship in Huntington Beach in the Master’s category in 1970 and placed second in 1971. He placed first in the senior category in Hawaii in 1980. More recently he started competing again in local contests as a member of the Sunset Cliffs Surfing Association. Barry and Sally made trips to Fiji, Costa Rica and other exotic locations in search of good waves. He was ripping the big surf at Sunset Cliffs only 5 days before his death. Barry sailed on boats big and small all over the world. He loved to compete. He raced in a number of ocean races on a variety of boats over the last 40 years. His two Transpacs were among his favorite races. Barry was a Senior Judge for US Sailing and enjoyed hearing protests and writing appeals. He loved racing his Etchells and model yacht at San Diego Yacht Club and windsurfing and surfing at Punta San Carlos in Baja California. He built an awesome motorhome from a school bus so the trips to Baja were done in comfort. He also spent a lot of his time working on boats… his and others. His latest project was refurbishing a sabot for his grandson Colin. Barry leaves behind his wife Sally, daughter Jessica Shughrou, her husband Steve and their son Colin, his brother Rob, sister-in-law Linda and nephews Brian and Jeremy and his cousin Tim Barry and Tim’s family. There will be a paddle out in his honor at Luscomb Point at 2pm on January 17. A celebration of his life will be held at San Diego Yacht Club on Sunday, January 18. The family will be placing his ashes in the sea he loved. 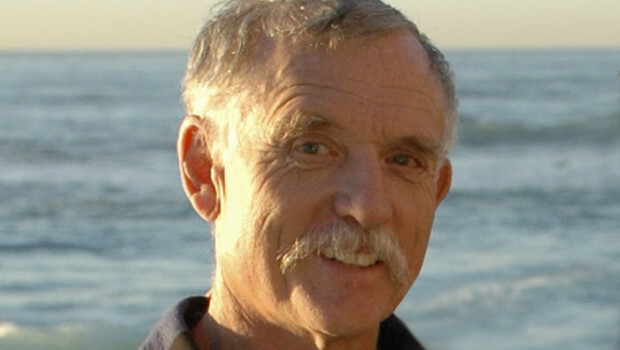 In lieu of flowers, donations may be made to the Surfrider Foundation in his memory. A guestbook to sign is available at Legacy. I was so terribly sad to hear of my former Navy colleague’s untimely death – I remember him as a creative-thinking teammate at work, and an ocean-loving athlete off-duty. My sincere condolences to his family! I have alerted my brother and his sons, all of whom love to surf, of this danger.